Our own transport fleet ensures plants are delivered to site with minimal damage and the least amount of stress to the plant as possible. 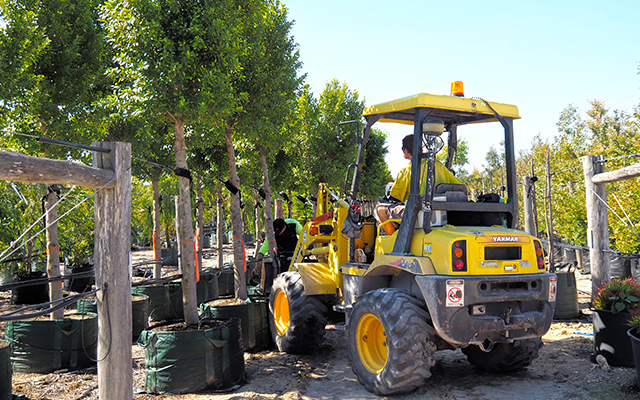 Landscapers requests are met as much as possible, and regular visits to retailers throughout the week ensures constant top ups of fresh nursery stock. 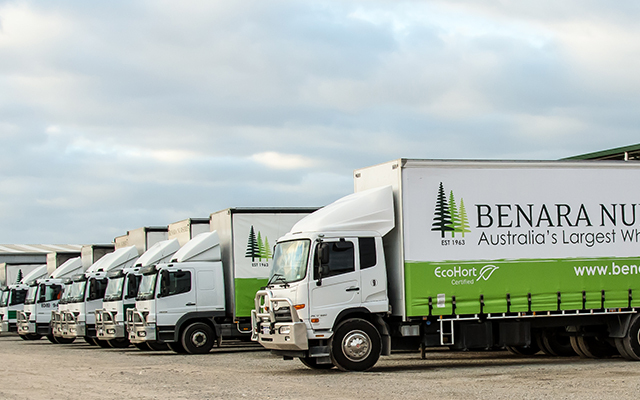 Our large fleet of trucks allows us to have full control of the plant quality right to your site. We have a purpose built tree loader that can deliver advanced trees to site without too much handling and avoid any scarring or damage. 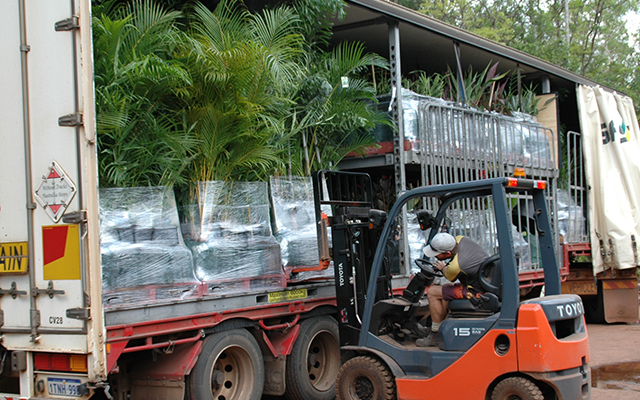 With a solid distribution network Australia wide, plants are shipped weekly to all major cities. 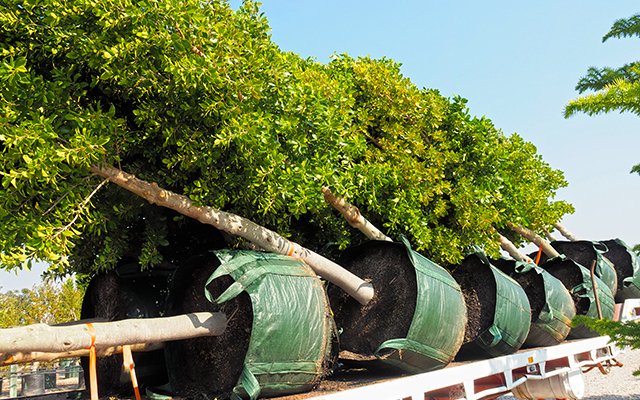 Our unique delivery system allows us to have full control of the tree quality right to your site. 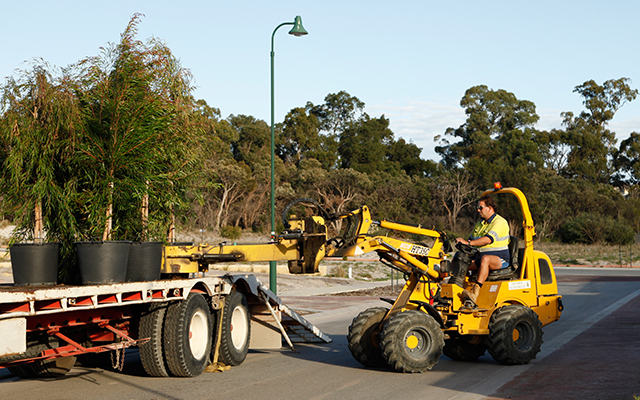 We have a purpose built tree loader that does not touch the foliage or trunk of the tree and can load and unload trees without too much handling and avoid any scarring or damage. 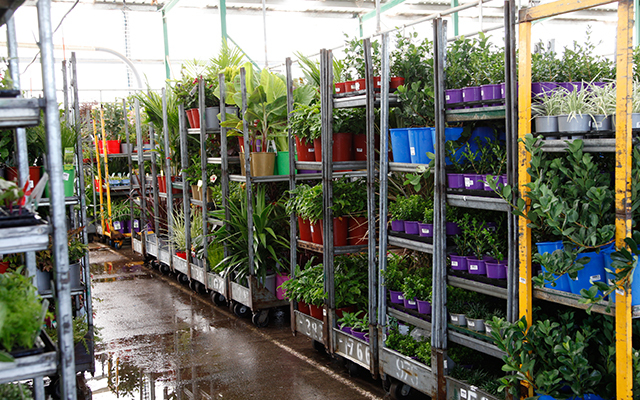 With competitive rates it is now easier to complete your project through Benara Nurseries. Delivery charges start from $130 per delivery for roadside deliveries. Seedling deliveries can only be in tray quantities. 48hrs notice is required for general stock deliveries. Orders must be placed online or with Sales Office before 2.30pm on Mondays and 3.30pm Tuesday – Friday. Kerb side deliveries only. Deliveries up to and including 30ltr bag/pot size. Pots up to 15cm must be ordered in multiples of 4. 17cm and 5lt pots must be ordered in multiples of 3 or 5. If minimum quantity is not met, Benara has the right to increase to the minimum order quantity with-out notice. Deliveries are unavailable from the Forrestdale Trademart.